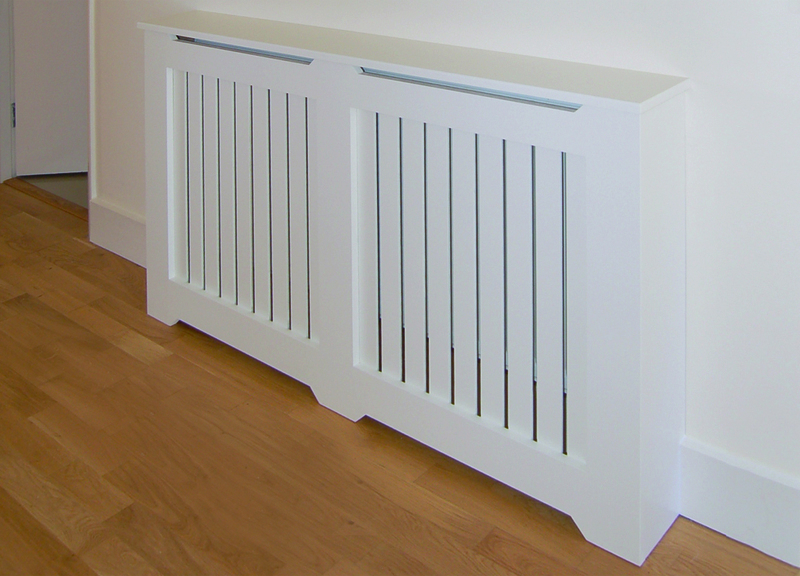 A contemporary design double panel radiator cover. 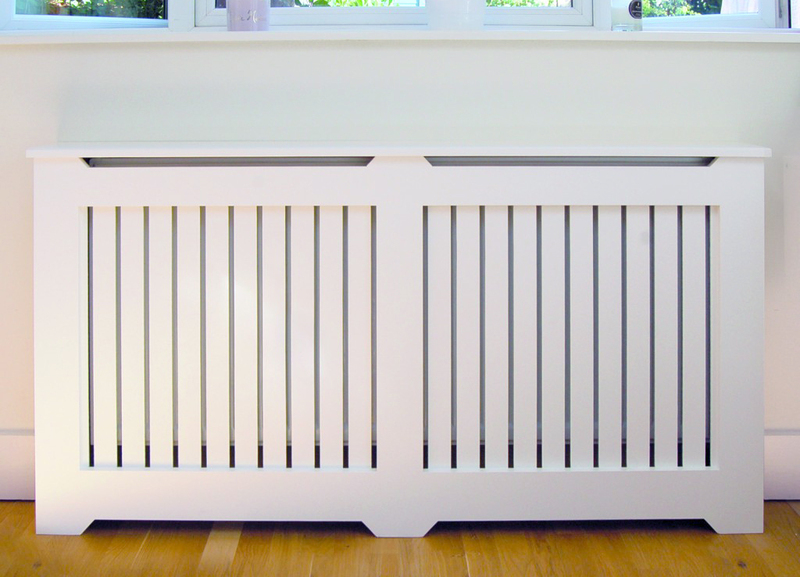 The vertical slat grill gives the piece a modern feel. Hand painted in a white finish.